others that helps us to understand the basics of industrial production. experts helped us understand the working of pharma industry. fresh biotechnology graduates, is Biocon Academy in a nutshell. biotechnology techniques was very beneficial. thought of serving the society! experience as to how they were benefited by the Biocon foundation initiative. were really smart and talented. Shiyamala Murugeshan has completed B.Tech, Biotechnology from K.S.Rangasamy College Of Technology (Autonomous), Tiruchengode. She is a student of Batch VII of Biocon KGI Certificate Program in Biosciences at Biocon Academy, Bangalore. that she is determined to take India on next levels of Biotechnology. and resources to grow up in biotech industry. made an impact on me and sincerely touched my heart. on making a career in Biotech industry. the world, an idol for many in the biotechnology world. the industry and the youth considering the icon she is! this world that we cannot achieve. say that she has left an indelible mark on us forever. Ankita Subbaiah has completed B.E in Biotechnology from P.E.S Institute of Technology, Bangalore. She is a student of Batch VII of Biocon KGI Certificate Program in Biosciences at Biocon Academy, Bangalore. world and ready to face any sort of task. brief introduction to what we will be doing for the following four months. and conducted an ice breaking session on the topic of success and motivation. is worth it and I hope the best to come for me in future. 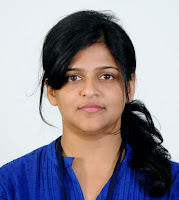 Likitha has completed her master’s in Biotechnology from Mount Carmel College, Bangalore. She is a student of Batch VII of Biocon KGI Certificate Program in Biosciences at Biocon Academy, Bangalore. perceived this opportunity as a significant advancement in my career. colleagues and faculty for their continuous and unraveling support. Charan completed his M.S in Biotechnology from SLU, Uppsala, Sweden. He is a student of Batch VII of Biocon KGI Certificate Program in Biosciences at Biocon Academy, Bangalore. Biocon Academy, a platform to hone your biotechnology skills, an opportunity to be industry ready, is an excellent learning platform for fresh biotechnology graduates who aspire to be great leaders and create a career in bio-pharma industry. At Biocon Academy, we were taught by industry experts from Biocon and subject matter experts from Keck Graduate Academy, California through an extremely well designed international curriculum. I learnt about the growth of bio-pharma industry from its inception to the present market full of generics, biosimilars and novel drug molecules that are constantly being researched to address the various unmet medical needs spanning across minor and major diseases like oncology and autoimmune diseases. The curriculum incorporated various team assignments and presentations with deadlines that gave us the opportunity to work closely with our classmates, learn team work and enhance our presentation skills. Under the able guidance of ‘Mr. Easwaran’, ‘Ms. Bindu’ and ‘Ms. Meghana’, the program directors, we learnt about the intricacies of the manufacturing units in the pharma industry, the regulatory guidelines, the importance of Quality and Compliance, the drug discovery research, the capability of fermentation technology and the entire upstream and downstream processing pathway in the manufacture of a biopharma drug. We were also taught about Clinical Research and the different phases of a clinical trial required to bring a drug to market along with Pharmacovigilance required once the drug is in the market. Special sessions on Professional Skill Development which included Time Management, Email Writing, Resume Writing and Mock Interviews prepared us for facing the interviews with much more confidence. At Biocon Academy, we have been professionally trained to become an able member of the global pharmaceutical fraternity and finally have been introduced into the pharma workforce in various globally reputed companies across the world. 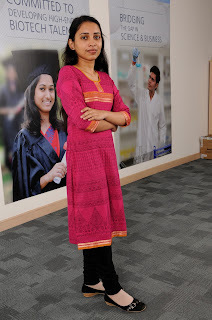 I am personally extremely delighted to have chosen to study at Biocon Academy, where I got an opportunity to meet and listen to global leaders in the industry as well as think tanks from the academia who inspired me to identify the future course for myself and today I am happy to be a part of the Corporate Communications team at Biocon! Aaishwarya Mathur, M.Tech in Biotechnology and Bioinformatics from University of Rajasthan, student of Batch VI of Biocon KGI Certificate Program in Biosciences at Biocon Academy, with Biocon since June 2016. The 16 anticipating hearts were beating in unison as we awaited the arrival of our esteemed guest for the afternoon session. For once we had all forgotten about the piles of papers to be read and exam that was taking place shortly after. The class dwell into a subsiding silence as a familiar eloquent figure appears against the sunlight streaming from the glass windows. After a few moments, our guest walks in steadily and as we grasped in awe we raised as we felt honoured to have been sharing the space with none other than Mrs Kiran Mazumdar Shaw. Our fellow companion, Venella mustered all the confidence and zeal in her as she summoned everyone to warmly welcome Dr Shaw. She was expressing our enthusiasm, excitement and thrill to have been a part of this organization and we could all feel the cocktail of nervousness and excitement she must be getting while addressing Dr Shaw directly. Shortly after that the star of the day took over podium. She shared with us her vision behind the Biocon Academy and went on to discuss the importance of training provided in the QCMB course in today’s manufacturing scenario in India. She expressed the vision of the makers of Biocon Academy which is training individuals for not only the betterment of its genesis companies, like Syngene and Biocon itself, but aims to aid the quality benchmark for manufacturing units in India. She walked us through the steady development of quality control unit from a subsidiary in a manufacturing unit to its current state of being the critical department that determines the viability of the product manufactured and hence also the company. She went on to express her concerns about the growing need of quality control in the current Indian pharmaceutical manufacturing industry and the shrinking of new talent pool in this niche. Biocon, a leader in Indian and Asian pharmaceutical industry, provides world class products and manufacturing facility, and who else to learn about quality control but the best. Through Biocon Academy, Biocon is training individual for the entire Biotechnology sector. Time and again Biocon has proved to be a leader in this industry as it is not scavenging talent pool for personal interest but for the whole world. Surely, her words will echo in my heart for a long while, encouraging me to be a part of this tremendous view. She closed the talk by aiming to put manufacturing and Biotech sector in India at the top. She was happy enough to take all our questions and we sealed our memory by taking a group photograph. Aishwarya Saxena completed her M.Sc. in Biotechnology from University of Edinburgh. She is a student of 1st batch of BITS – Biocon Certificate Program in Quality Control Microbiology from Biocon Academy, Bangalore. It is a great pleasure to share my observations, lessons and tips on how to transform your career at Biocon Academy. I started my Certificate Program in Biosciences in January 2016. A large part of this course is focused on personal development like knowing yourself better as a person and a professional. Along with other professional skill development sessions, it also had mentoring sessions to make us industry ready. The mentoring sessions were mostly for understanding our strengths and weaknesses as a Biocon Academy student. One such astonishing session was conducted by Mr. Amitava Saha, Sr. VP and Head of HR of Biocon Ltd. Recently, he was awarded The Most Influential HR Leaders in India Award at The World HRD Congress. From the moment we joined Biocon Academy, many questions were rendering in our minds. Few of them were what kind of treatment we should expect from Industry after completion of this course? What will be Industry’s expectation from Biocon Academy students? And what are benefits of being a Biocon Academy student during recruitment process? And to find the answers to these questions, a mentoring session from a senior HR person was much needed. Mr. Amitava Saha has rich professional experience in the Human Resource space across geographies covering Talent Acquisition, Employee Engagement and related areas of Employee Life Cycle in leadership positions in companies like Firstsource Solutions, Mashreq Bank, Accenture and Infosys. As expected, Mr. Amitava Saha answered all these questions and cleared our doubts. And to answer our questions, Mr. Amitava started the session with question itself. He asked “What are your expectations from employers?” And we were ready with list of expectations. Job security, respectful treatment of all employees at all levels, Trust between employees and senior management, Overall benefits and compensation, flexible working hours were few of them. Mr. Amitava Saha made us realized that we should also think about from employer’s perspective and their expectations from us. We never had thought about our responsibilities as a Biocon Academy student would be to fulfill these expectations? All human relationships, including those of employers and employees, involve expectations. And when expectations are not met, conflicts tend to occur. When we join a new job, we should be aware of what our employer expects of us. The very first thing they’ll expect is we should approach the job with an open mind so that we can quickly learn what we need to do it well. They will expect us to be reliable. Arrive at work on time and don’t leave until our shift is over. Our employers will expect us to be honest, to conduct ourselves professionally, and to dress appropriately for the position. If we want to make an excellent impression, we should try to cultivate a cheerful and flexible attitude. Things are often more complicated in reality than they appear on paper. So the company’s official organizational chart might not be sufficient to describe everything that actually needs to get done. If we display resentment when asked to do something outside of our comfort zone, our employer might be disappointed. Being a Biocon academy student, we will get conversancy with professional environment at Biocon itself. As it includes insight into all departments of Biopharmaceutical, many times we will feel we are outside of our comfort zone. Some of the best faculties and mentors in Biocon academy will help us understand the whole scenario and ways to tackle these situations. Academy’s and our own sustained effort will help us to acquire these qualities such as multitasking and time management. So, being a Biocon Academy student and having industrial exposure, employers expects more from us. In short, excellence is what employers look for from Biocon Academy Students. So when we enter into the Industry as a Biocon Academy student, along with our reputation, Biocon academy’s reputation is also at stake. So to summarize this I would say, Mr. Amitava gave us a sneak peak of what is ahead in a couple of days, which was very useful. Finally, the take away message from his session was how to manifest our ‘best version’ as a Biocon Academy student in order to maintain Biocon Academy’s stature and be deft professionals. Prajakta Khadsare completed her M.Sc. in Chemical and Biotechnology from Dept. of Technology, Savitribai Phule, University of Pune. She is a student of 6th batch of Biocon – KGI Certificate Program in Biosciences from Biocon Academy, Bangalore. Having completed a month already at the Academy with all our brains crammed with different papers of the module, nerve wrenching midterms and the never ending presentations, everybody was waiting for a fresh wind of air. Thus came the much awaited Huskur visit. On the morning of 15th February, everybody gathered at the Academy early in the morning, excited and enthusiastic unlike the regular days. When I was in my school I used to actively participate in these type of activities being a part of our social Interact group and this visit made me reminisce those days. We started from the Academy and reached Huskur in no time. After reaching there, we were introduced to the Health Care Centre set up by the Biocon Foundation. We got to know about the various activities conducted by them. It was good to know that they set up regular camps for diabetes, various cardiovascular diseases and occasional cervical cancer camps for the women of the area. The activities also involved disseminating of costly drugs at an affordable rate. When companies like Biocon and leaders like Dr. Kiran Mazumdar Shaw take up such initiatives, it serves as a wonderful inspiration for others to follow. There were students from another institute and we got a chance to be a part of their survey team. They were also working as a part of Biocon and the survey taken up by them involved the study of below poverty line families, their medical history and how much prone they are to the common cardiovascular diseases. We visited few houses and wherever there were members above 30 years, were tested under certain parameters such as- height, weight, blood pressure, blood sugar, eating habits, medical history. It was heartening to know that so many people in this segment are either suffering from diabetes or they have medical history of heart disease which make them prone to serious ailments. Biocon Foundation is doing a great job in educating these people about the seriousness of the conditions so that they can take better care of themselves. Biocon Academy is also creating opportunities in hospitals, where there are better facilities for treatment. In spite of all the efforts of the social workers, it is very disappointing to see that the people with limited resources sometimes do not take the advantage of the initiative. For example, when we visited one of the houses having around six members among which four were above 30 years, the oldest member, an old lady suffering from Type II Diabetes did not take the necessary insulin due to fear of needles and thus resulted in a high blood sugar level. It is understandable when they say that they do not have access to the required resource. But when there are people and organisations facilitating initiatives, it is important they should also do their bit for their own good. The survey was done primarily to reach the maximum people in need and in turn offering them a helping hand. Another initiative taken up by Biocon Foundation is facilitating primary education of children of this Huskur area. Biocon Foundation provides easy to do mathematics activity books named “Chinnaganitha” that can help the children to learn the concepts in an easy and fun loving way. It was an overwhelming experience for the kids when we visited the school. The students were very excited to see all of us. We organised a small quiz on Mathematics which was enjoyable and interactive for both the groups. They were all the more happy to receive the delectable candies and stationary items. The whole experience with the students was so much fun that we did not want to go back. The overall experience was as much as a learning experience as our regular classes. Knowledge can be gained from everywhere. From the Health Care Centre we got the inspiration to be part of more such initiatives. The children made us learn that happiness can come from smallest of the things. Their happy smiles were hard to forget and their never ending farewell made us realize that we have to be back with them soon. This visit made me realize how much can be done for people who are not exposed to as much resources as I am. Being a part of Biocon Academy made me proud once more as I got to see and know how much efforts are being taken up by the organization and its people to make the life of people at Huskur’s better. This made me to promise to myself to offer all needful help towards the society whenever I get an opportunity. Nairita Chatterjee completed his M.Sc. in Microbiology from St. Xavier’s College, Kolkata. She is a student of 6th batch of Biocon – KGI Certificate Program in Biosciences from Biocon Academy, Bangalore. After having heard and read a lot about the “Biocon-KGI certificate in Biosciences” from various sources, I was finally at the Academy on 11th Jan 2016 being inducted into the Batch 6 of this unique program. With an intent to groom my professional skills, I started my research to apply to the best institutes that would offer me this opportunity. I found Biocon Academy to be the most suitable match for what I was looking for i.e. it had the perfect combination of Academic Modules conducted by the faculty from an International Institute like KGI, California, US and hands on learning sessions conducted by Subject Matter Experts from Biocon. On the day of the orientation, I was walking towards the Biocon House, with all the glittery dreams built up till now. I would be lying, if I say I was not nervous. I was scared to bits and the anxiety of new place was gripping me as well. But with these emotions, were coupled with confidence of being chosen to be a part of this program and experiencing a positive change in my career going ahead. Everyone in the class was hesitant to interact and talk. But, the atmosphere in the room was full of enthusiasm. The basic interactions with the alumni broke the ice. Within no time, we all gelled very well. Interactions with the Biocon Academy team took us to the next level of confidence and positivity. An inspiring and warm welcome note from Ms. Bindu, Mr. Easwaran, Ms. Meghana made us feel at home. After the first day at the academy, I was pretty much sure that the next four months were going to be a roller coaster ride full of excitement, learning and challenges. It’s going to be trained to be a future leader as team work is the key for all the projects/assignments. I was sure that all my hopes were bang on target!! 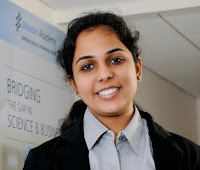 “Oh yes, I had made the right choice” by leaving my current job and joining Biocon Academy. I believe, Biocon academy is a platform which forces you to move out of your comfort zone and makes you think differently and prepares you to be presented on the world stage. Ms. Superna Thakur, has completed her M.Sc. in Biochemistry from Nirma University, Ahmedabad, Gujarat. She is a student of 6th batch of Biocon – KGI Certificate Program in Biosciences from Bicon Academy, Bangalore. Since the time we were apprised about Dr. Kiran Mazumdar Shaw’s visit to Biocon academy, I and my batch mates were filled with mixed emotions of excitement and nervousness. On 18th day of January 2016, the day when this session was planned we were all looking forward to meet Kiran ma’am with extreme alacrity and enthusiasm. She began her talk by congratulating and welcoming us to Biocon academy. There was a sense of extreme equanimity in the way she took us through a very inspiring journey of manifestation of Biocon. Kiran ma’am emphasized on how she was driven by the goal to put India on the global map in competitive biopharmaceutical space. Her zeal for improving India’s global image was something which developed a sense of fervour in every person listening to her inspirational words. Later she described how ‘Women Empowerment’ was the next on her agenda. It was very encouraging to know how she began her journey of an entrepreneur amidst the society where women were considered inferior to men. To know how her brainchild ‘Biocon’ started in a garage and has now transformed into a global scale research and manufacturing facility to address the unmet medical needs through affordable innovation, was a huge learning for all of us. She made us realize the power of keeping goals and achieving them inspite of rough and difficult times. The launch of Biocon Academy to address the skill deficit in the biotechnology sector and Kiran Ma’am’s propensity to improve employment opportunities of life science graduates highlighted her dedication towards quality education. The magnanimous and compassionate side of Kiran Mazumdar Shaw reflected through her efforts dedicated towards establishing Mazumdar Shaw Cancer Centre and Biocon Foundation. After the session, we weren’t ordinary students anymore; we were more confident, goal driven zealots ready to establish a strong hold in the Biopharma Industry. I would like to quote some very inspirational quotes of the India’s very own Rocket Scientist; “We are all born with a divine fire in us. Our efforts should be to give wings to this fire and fill the world with the glow of its goodness”. Kiran ma’am’s words indeed gave all of us wings of fire. Now let us all reach out to our dreams, with those wings of fire and make a difference with our eager minds “Ignited” with Kiran Mazumdar Shaw’s inspirational words. Ms. Rutuja Kumari, has completed her M.Sc. in Biotechnology from Fergusson College, Pune, Maharashtra. She is a student of 6th batch of Biocon – KGI Certificate Program in Biosciences from Biocon Academy, Bangalore. The 16 week customized curriculum of Biocon-KGI certificate program encapsulates classroom sessions by academic experts from KGI, professional ; personality skills development sessions by Industry experts and brilliant guest sessions by Subject Matter Experts. The course content of the program is designed in a manner that it provides a holistic understanding of application of academic concepts in an Industry scenario by well planned training modules conducted by academic; industry experts. One such mind-boggling session was conducted by Mr. Anto Stephen on Quality Control Microbiology. It was yet another day at the Biocon Academy and all of us were occupied with discussions of the online sessions and assignment deadlines to meet. Amidst this, at around 11 am, Mr. Anto Stephen walked in the classroom to conduct a guest session on the topic of Quality Control Microbiology. Since, most of have Biotech background and haven’t been exposed to the nuances of topic during our past academic experiences, we were all keen to soak up the knowledge and improve our understanding of the subject from Mr. Stephen. Mr. Anto Stephen who currently holds a senior position in the Quality Control Microbiology Department at BIOCON, is an extremely knowledgeable individual with rich experience of working with some of the leading Pharma Companies in India. His style of presentation and presence instantly got us us hooked to learn more and more through his session. 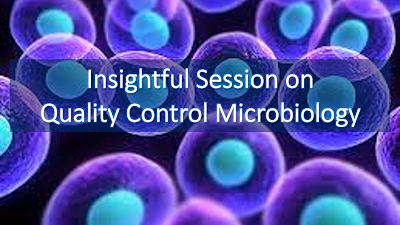 The session started with a brief introduction of Quality Control Microbiology domain and then dwelled upon the details of how it plays a critical role in Pharma & Biopharma companies. Mr. Stephen also, emphasized on the skill sets required to excel in the Quality Assurance and Quality Control roles in this department. Highlighting on the application of the topic in an industrial set-up, his presentation provided an in-depth understanding of the possibilities of microbial contamination in pharmaceutical products and how these have to be evaluated in terms of the use of product, the nature of the product, and the potential hazard to the end-user. He then touched upon the basics, as to what could be the possible source of contamination’s and explained the different methods and safety precautions that should be practiced to avoid it. His talk mainly emphasized on how safety is of prime importance in a process of developing lifesaving drugs and the role played by Quality Control Department to ensure the same. In order, to ease our understanding he crafted a small role play model, through which he indicated the possible incident of drug spillage in a clean room and the required corrective measure in compliance with the CGMP guidelines that one has to follow during such instances. The way he presented his ideas was incredible and helped us to develop a thorough understanding of the topic. He concluded his presentation with a very inspiring quote stating that “Attitude is a small thing which can make a big difference” insisting that we should inculcate positive and right attitude toward our work. The session was very informative, and I look forward to be a part of such discussions in future where I could collate border knowledge through experts from pharma industry. So far our journey at Biocon Academy has been packed with enriching learning experiences from the best professionals and faculty from the Industry. As I walk down the memory lane of the fun filled learning experience at Academy, I would like to share my experience of wonderful interaction with two of my favorite guest speakers who are extremely dynamic and knowledgeable experts i.e. Dr. Sheldon Shuster; Dr. Arun Chandavarkar. The sessions conducted by them were truly inspiring and full of insights that will help us chalk out our career and apply ourselves to the best of our abilities. Dr. Sheldon Shuster, President, KGI recently conducted a session for us, during his visit to India for the Biocon Academy-Alumni Meet. We all had an instant connect with Dr. Shelly, because of his charismatic personality and positive exuberance. He shared his insights about the sector and the importance of being skilled to harness the enormous potential of the Biotech Sector. While addressing us and elaborating on the variety of applications that Biotechnology offers he said “You truly have the power to make the world a better place by effective use of the knowledge that you have gained during your stint at Biocon Academy”. His words created a lasting impact on me, and I am extremely inspired to create a difference in which ever domain I wish to pursue in my future. Another such insightful session was conducted by Dr. Arun Chandavarkar, CEO and Joint MD of Biocon. His talk was motivating and focused on various opportunities that can be explored in the biotech sector. “A leader is one who seeks best for whom he serves” and I undoubtedly believe that he is no different as he has been very instrumental in the growth trajectory of Biocon Ltd. Through his talk, he emphasized on the importance of knowing the history or past discoveries for their application in the present or future, thinking out of the box and giving utmost importance to the quality and value of the product rather than the quantity and price. He briefly explained to us the importance of learning and development within an organization and gaining experience by grabbing the right opportunities as they come by. He particularly emphasized on the importance of thorough understanding of the basic concepts that can be seen as the building blocks for a bright career path in the industry. He also advised us not to constantly hop on and hop off within the different verticals of the company or among companies for the sole purpose of compensation. He further systematically addressed all our queries with suitable examples from his sound knowledge and experience in the industry. He concluded his talk by congratulating and wishing us a great success for a bright future ahead in the industry. I am proud to admit that I am a part of this Institution which has offered each one of us a unique opportunity to interact with such great minds. One of the most successful entrepreneurs of India and the chairperson of Biocon – Kiran Mazumdar Shaw was nothing more than a famous name for all of us until 16th September 2015 – a name, and with that, an image of a fiercely determined, charismatic and inspirational woman. One of the perks of being famous is that you do not really have a chance to make a first impression. Everyone already has an impression of you before you meet them. However, Kiran Mazumdar Shaw was every superlative as the media describes her and more. We were already squirmy with nervous excitement when we received the news about meeting Dr. Kiran Mazumdar Shaw who went from being a brew master, to setting up Biocon in 1978 and then steadily expanding it to one of the top biotech companies in Asia. So accustomed were we to the completely unfashionable style of people being ‘fashionably’ late, that we were pleasantly surprised to see that Kiran Ma’am had reached before the scheduled time. She was here to make a lasting impact on our minds and she had already achieved what most people failed in – ‘Punctuality’. Our respect for her went several notches higher at this. She spoke to us about the progress Biocon has made in the development of life saving drugs and how important it was to have the spark of innovation, but also how equally vital it is to make that innovation affordable. She also gave us a much needed insight into the overall functioning of the industry and enlightened us about the varied opportunities available in the field of Biotech. The inception of Biocon academy was done with an intention to provide students with an exhaustive curriculum that would encompass all the knowledge one would require to enter the industry as confident professional. She particularly encouraged women to take this chance to develop their career and to stop associating womanhood with weakness. After all, Kiran Ma’am has created a niche for herself in an industry which was not known to have women leaders. We also had an opportunity to interact with her and clarify all our queries – I voiced my concerns on how the perception of the people regarding GM crops could be changed and how the farmers could be made more aware of its benefits; as many NGOs are responsible for promoting an unhealthy image of genetically engineered crops. Her answer was reassuring in that farmers knew what gave them the best yield and these GM crops (BT Brinjal as a recent example) were evaluated and approved by the GEAC, and that the NGOs should conduct their research before promoting false information, especially about a technology that has great potential to revolutionize our agriculture industry. She had inputs for a fellow classmate who wanted to know about public or private domains that would provide an opportunity to entrepreneurs for showcasing their ideas for start-ups and suggested incubation centers at different universities and research centers as the ideal platforms. She also stressed on the benefits of running a pharmaceutical industry that differed from others in the fact that it was more pro-people than pro-revenue. Each of our questions was met with a confident and encouraging answer from her side. She reaffirmed our faith that Biocon academy was the way to increase employ-ability of fresh graduates and enable them to carve a niche for themselves in their careers. At the end of the day, we have her to thank for this wonderful brainchild of hers that is Biocon Academy and only hope that this 5th batch will prove our worth here. Arabhi Pushpaja, has done her BE in Biotech from BMS College of Engineering, Bangalore and is currently pursuing the Biocon-KGI Certificate program. She has keen interest in the field of Research and Development. Whirlwind of activities surrounded us as we all got inducted in the Biocon-KGI Certificate Program conducted by Biocon Academy. Though, initially it all felt a bit overwhelming we are now accustomed to the rigorous program format, and our thoroughly enjoying every bit of it. This 16 weeks rigorous program encapsulates Academic sessions by KGI experts, Professional Skills development modules by external faculty members, Group Projects; Assignments and the most intriguing Guest lectures by Industry Experts. Each of these sessions have been aligned to help us unfold the underlying principle and concepts of subjects being taught by these experts. One such interesting session was conducted by Mr. Sethu S Madhavan one of the Guest Lecturer who briefed us on topic of Intellectual Property rights (IPR). Mr. Sethu S Madhavan has vast experience in the field of IPR and has rich professional experience with some of the leading Pharmaceutical; Bio-Pharmaceutical companies like Dr. Reddys, and Biocon. His presentation was unique and well organized in terms of developing a basic understanding of IPR and its implications in pharmaceutical drug development, sighting specific examples. It was an eye opener to many of us who were new to the whole concept. The topic drew parallel to numerous ideas manifested in varied shapes that were once conceived by the innovator. For example, we see cars and other vehicles on the road the moment we step out, or the daily appliances we use in our homes or the laptop I am currently using to type this article, all of which have been the brainchild of the innovator who sees it through and ceases to rest until his idea takes shape. Every new idea or innovation should be protected and rewarded, with that arises the need for Intellectual Property Rights (IPR). IPR gives the innovator the exclusive rights to reap benefit out of the innovation considering the amount of effort, time and money that goes into developing the final product. The topic of IPR is very much relevant in the field of pharmaceutics and a proper and detailed understanding is requisite for gaining insights into the litigation’s encompassing drug development, process development, formulation and packaging. This session was indeed very insightful and I feel extremely lucky to be part of this program as it allows me to gain extensive knowledge through experts from the Industry. Roshni Thomas, has done her ME in Biotech from Birla Institute of Technology & Science, Pilani. Before joining the Biocon-KGI Certificate program she has been associated with IGIB, Delhi as a Junior Research Fellow. Her areas of interest include Research & Development. August 19th, 2015, a pleasant Bangalore morning, as 30 young minds embarked on a new journey where new friends, learning new techniques and sharing ideas brought us to the classrooms of the Biocon Academy. Mispronounced names and various cultural backgrounds, as we slowly began to fraternize and never before experienced photo shoots later. Batch 5 commenced to a great start. The orientation program conducted by Ms Shirley Jijo began with wise words from Dr. Arun Chandravasker, CEO and Joint Managing Director, Biocon, followed by encouraging notes from Dr. Steve Casper and Dr. Meghana Joshi. Accounts of experiences and inspiring thoughts from various sectors of the biotech industry and the alumni of Biocon Academy lifted our hopes of looking towards a better future and working together. Soon after the opening ceremony, we were introduced to our classroom, our ‘Knowledge den’ for the next 16 weeks, where the seating arrangement placed us in groups forming the motto of Biocon Academy; Empower, Leverage, Persevere, Innovate, Connect and Transform. A corporate presentation of the Biocon industry was presented by Ms. Seema Ahuja, Vice President and Global Head of Communications, Biocon, where an insight of Biocon, it’s functioning and innovations and success was introduced to the students. Post lunch a fun and creative ice breaking session was conducted by Ms. Usha and Mr. K.S Ramanan, pairing students randomly and introducing each other, followed by group activities where students were asked to share their stories of success and factors that lead to the success, with some inspiring and some fun stories, this afternoon session definitely broke the ice and bridged the gap between all of us. Hence a calm and creative approach by Ms. Usha and Mr. K.S Ramanan showed us the importance of motivation, achievements and finally success. The first day at Biocon Academy came to an end with a memory game conducted by Mr. Salavadi Easwaran, Academic Director, Biocon Academy, where we were asked to volunteer and reminisce names of all the other 29 students, the encouragement being a tempting bar of chocolate for the winner. Even though it was a long day with a lot of activity in a new environment, it was day well spent and will be cherished, Batch 5 is definitely a plethora of talented and energetic young souls. 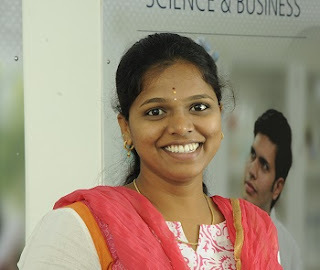 Sreyashi Dev, has done her M.Sc in Biotech from Vellore Institute of Technology, Tamil Nadu. Before joining the Biocon-KGI Certificate program she has been associated with CSIR, IICB as a Project Assistant. Her areas of interest include RD. Just as the 21st century dawns on mankind, our lives bear a testimony to the genesis of new era in Research and Technology and it has opened the doors for unabated technological advancement and created opportunities for growth in newer dimensions which we never thought existed. To excel in the futuristic workplace of tomorrow, one needs to possess a perfect blend of theoretical study and experience. Cultivating an inquisitive and explorative attitude, I believe, leads to a constant learning process. This approach adds to the immense potential for innovation that exists in the field. I want to be a part of this exciting race to create a more scientifically advanced tomorrow and I envision the Biocon- KGI certification program would serve as a gateway to the path towards my advancement in this direction and the most appropriate place to start with. First day of any new venture is a mélange of nervousness, zest and anticipation as to see how the day would unfold and how the days to come would shape up. On the first day of our orientation into Biocon Academy, we all sat there stealing glances at each other. Some very exuberant faces, yet few other shy faces, but one thing binding each of us up there was ‘what next?’ and an adrenalin surge! All of us were from different backgrounds and cultures, but were united together with one thought, that the next four months being the fifth batch of the ‘Biocon Academy’ would be the onset of a new escapade and a brilliant learning experience. After being addressed by some of the senior members from Biocon, we had our interactions with the Subject Matter Experts (SME), who briefed us on the different areas of biopharmaceutical industry, which we would be detailed more in the coming days. India is one of the fastest growing countries in the world in terms of the biopharmaceutical investment and it makes it very exciting to be a part of the Biocon Academy at this point and kick- start our careers. Biocon Academy is a brilliant platform to bridge the gap between the academic knowledge and its application in the industry scenarios and to help address the skill deficit that currently exists in the Biotech sector. As each day would roll by, we are all looking for a new set of adventure set to rock and roll and to bask under this flagship program to bring out the best with the help of our guides and mentors. Sweety Mathew has done her M.Sc in Bioinformatics from University of Westminster, London. With over a year of experience as a Research Associate with BioMarin, UK, she has keen interest in R&D. The journey at Biocon academy has been marvellous, overwhelming and a great learning experience. It’s hard to believe that this exciting journey which started a few months ago is nearing its completion. Currently, we are in the last leg of our program completion, and a mixed bag of emotions surrounds each one of us. The anxiety and joy of being recruited in one of the leading Biopharmaceutical Companies coupled with the sadness of bidding adieu to wonderful Academic Institution – Biocon Academy which helped us create some of the fond memories. True to its commitment Biocon academy has shaped our lives by Adding value, Enhancing skills enabling us to take on the challenges of the ever evolving Biotech Industry. The systematically designed modules on professional skills development have honed our soft skills. While the SME (Subject Matter Experts) sessions have helped us identify our core strengths in different areas of a Bio-pharmaceutical Industry and thus eased our decision of making the appropriate career choices. To boost our preparations further we had an insightful session with Dr.Arun Chadavarkar – CEO & Jt.MD, BIOCON Ltd which opened our minds to the world of opportunities posed by the Biotech sector. Dr.Arun who holds a doctorate from MIT and graduate topper from IIT Bombay, is an extremely humble and grounded human being. It was an absolute delight to gain insights and establish a profound understanding of Bio-pharma Industry from Dr.Arun whose mantra of life is “Simple Living and High Thinking”. Talking about his rich experience in Biocon which spans across 25 years he explained how Biocon survived the odds and reached the pedestal. The journey from protocol follower to a protocol writer, a leader undertakes a great deal of passionate effort in making every task into an exciting learning opportunity. The key take away from his talk was “It’s not the price, but the value of the product which counts while making a good quality product”. He gave example of regulatory strategy where getting approval with abbreviated pathway played a crucial role and also explained the technical aspect of supply chain management which involves great understanding regarding Quality, Reliability, Stability and Intellectual Property of the vendors supplying raw materials. He also spoke about the pedigree of careers which includes importance of formal education in early career and professional experience in the later stage. Emphasizing on the skills required to build a strong professional career he mentioned that is imperative to acquire domain knowledge for technical roles and general knowledge for administrative roles. He detailed out the traits which are looked upon while hiring people in Biocon, some of them are being well informed, well read, approach to work, team work, integrity analysis under GMP situation which all sums up to meet the Vision laid by honorable CMD of Biocon Ltd., Ms.KiranMazumdar-Shaw, which aims to manufacture globally renowned Indian drugs which are accessible and affordable. He concluded his talk stating that innovation is crucial to translate this vision into a business goal. Shambhavi Sharma has done her B.Tech in Biotechnology from Allahabad Agriculture University, Allahabad. Currently, she is pursuing the Biocon-KGI Certificate program in Biosciences. Her areas of interest include Production, Quality and Regulation. As the wise man said, “It is the experience that matters”. This statement holds good in the case of my experience at Biocon Academy, which has been at the phenomenal, to say the least. The holistic approach of the program format consists of classroom sessions on variety of topics coupled with functional visits to State-of-the-art Labs at Biocon facilities to enable correlation between academic concepts and their applications in the industry set-up. Every industry visit comprises of training sessions to various departments in Biocon wherein the entire batch is divided in several teams, which are further split between Biocon Park and Biocon Campus. These visits are scheduled in the second half of the program session and continue till the end of the day. Each team gets to spend about six days in each department to gain an insight on the overall functioning of these departments. As of now, we have completed our visits to the Regulatory Affairs (RA), Quality Control-Microbiology and Quality Control-Analytical departments. Our first visit to the Regulatory Affairs department in Biocon Campus, was enriching as we were enlightened by a host of topics like APIs, NRA, NDA, ANDA, CTD and IPR. This was followed by Quality Control-Microbiology Labs at Biocon Park where we learnt about the inoculum development and fermentation production area as well as learnt about the environment, water and product sterility testing. We were enthralled to see the water sources at Biocon Park. It was interesting to watch the constant power that is put in round the clock to control the microbiological content at a number of levels. Subsequently, we were taken to the Quality Control-Analytical department at Biocon Park. This department is equipped with large number of analytical instruments and equipment’s. We were enlightened by theory classes in which we were taught about qualification of design, installation, operation and different processes. We also attended live demonstration of Gas Chromatography and HPLC. In addition to that, we were shown cold rooms where stability testing samples and reserve samples are maintained. The overall experience to each of these departments provided us with an in-depth understanding of their work-flow and the technical know-how of the procedures performed by these functions in a Bio-pharma organization. The tea-breaks during these visits were particularly refreshing as we spent time chatting in the canteen and walking around the lush Biocon Park facility while sipping the tea. The functional visits have been an integral and informative experience and we are excited to visit and explore the rest of the facilities in the coming weeks. Being in Dr. Kiran Mazumdar Shaw’s presence itself signifies that she is in a league of her own. She has an unmatchable charisma that translates into her speech and her vision. If you have read her success story and found it awe inspiring, then meeting her and hearing her speak can actually transform you. That’s what all of us experienced during our orientation when we got the opportunity of our lifetime to interact with her. Her story is so much more than what it appears in print. She is grit and grumption personified. Her words always comes across as gold-dust, “To be at the top you have to be a specialist and not a generalist”. We were influenced by her personality and it inflamed a passion of achieving the pinnacle of success in all of us and made us thirsty for more. Our subsequent interaction with her proved to be much more enthralling, as she narrated her experiences in life. From being the daughter of a brewer and becoming the first female brewer in India to becoming the pioneer in Biotech Industry, her journey is what legends are made of. Her challenges would appear unsurmountable to many, overcoming the gender bias, no financial backing, credibility issues, and inexperience in business to delving in an unexplored field, but she took them in her stride and overcame each one of them by taking them as a challenge. She defied all odds by collaborating with Biocon Biochemical Limited, Ireland in 1978 and started Biocon in the garage of her rented house in Bangalore with an initial capital of Rs. 10,000 and has turned it into the foremost biopharmaceutical firm in India. Although it was a joint venture, Indian laws constrained FDI to only 30% and Ms. Kiran had to arrange 70% funding from her end. She faced challenges of scarce availability of resources like laboratory equipment’s and qualified employees for her start-up. Within a year of operations she was successful in exporting enzymes prepared in Biocon to US, Europe, which was a first for an Indian company. With the profits made, she purchased 20-acre property for expansion and delved into the world of biopharmaceuticals. She said “It was about greening businesses, which was a very new concept. Saying how do we replace chemical technologies with enzyme technologies, and green the world. And that was my sense of purpose when I started”. The focus of the business was changed from enzymes to biopharmaceuticals in the 90s. She sold off the enzyme business she had built for 15 years and put in all her energies into the biopharmaceutical business – where the first batch of enzymes failed. ‘Here I was trying to scale up a home grown biotechnology firm and my first batch failed. We checked why it failed. We identified process failures,’ she says. She truly is perseverance personified. She went about slicing her setbacks with almost clinical precision. And rest as they say is history. Listening to her was not only inspiring but motivating as well. Listening to her life journey compelled us to believe in ourselves. Her diligence and her determination to achieve her goals taught us to have focused mind and an eye for goal. People like her inspire us to innovate rather than imitate. Indians have the capability to innovate and she has proved that to all. The Biocon-KGI certificate program is her brainchild, to bridge the gap between academic knowledge and industrial applications. Not being one to reap the fruits of her success alone she believes in giving back to society and pave a way of development for the whole industry.This flagship program is a unique initiative to provide the aspiring Biotechnologists with necessary knowledge, skills and industrial trainings to make them employable in the industry. It is indeed a privilege to be part of such unique program and be guided by a personality called Dr. Kiran Mazumdar Shaw and grow academically as well as professionally. Rehan Rizvi has completed his Master’s in Biochemistry from Jamia Hamdard, New Delhi. 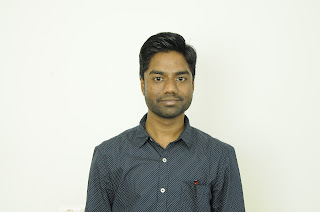 He has previously graduated in Biological sciences from Dr. B.R Ambedkar University, Agra, and is currently pursuing the Biocon-KGI Certificate Program at Biocon Academy with the aim of getting ready for the industry. His key interest are in Quality Control Analysis, Quality Assurance and Regulatory Affairs. The first few weeks at Biocon Academy were overwhelming with Classroom sessions, Assignments, Lab Visits, Guest Lectures and multitude of activities planned back to back. We were waiting for a break that would rejuvenate us to gain more knowledge which was due to be imparted through the future sessions. The ‘Cultural Day’ celebration offered us a unique opportunity to be re-energized by connecting with our batch mates and faculty in an informal setting. This day was one of most memorable experiences for us and we would truly cherish these memories all our lives. The announcement of the event came a week in advance and stirred a wave of enthusiasm and energy among all of us. The thought of having a break amidst the hectic schedule heightened the excitement and our enthusiasm to prepare for the event was boundless. The theme for the day was ‘Ethnic Wear’ with an objective of representing the cultural variety of India. With girls draped in beautiful sarees and guys in well fitted kurtas, the entire group looked vibrant and colourful. The event began with a Ramp walk, and each one of us walked the ramp with panache and attitude. This was followed by a poster presentation competition, the theme for the topic was ‘BE A BILLIONAIRE’ and it provided us with an opportunity to showcase our creativity. Each group presented their ideas of being a billionaire and how would they use the enormous wealth at their disposal. Some of the groups elucidated essence of contributing back to the society by means of uplifting the standards of education, healthcare and several other areas which need attention. While others, chose to indulge in the worldly pleasures and showcased some interesting ideas as to how they would do so. The next activity in line was the most exhilarating and nail biting session of a Quiz and Minute to Win It games. We thoroughly enjoyed this activity as it tested our intelligence and allowed us to have loads of fun while we participated in the attention grabbing games. This activity filled the entire room with banter, giggles and students hooting for each other. The climax of the day was presentation of short videos, which involved filming short film demonstrating our ideas on variety of topics ranging from Movies, Media, and Examinations etc. Most activities at the Biocon-KGI program prepared us for honing our skills and so did this. The activity was designed to explore the opportunity of working in team and delivering the desired output. The planning and execution for this project led us to discover ourselves as potential leaders, creators and team players. During the entire process of working on this project, we bonded as a team and pushed each other’s boundaries to explore our hidden talents. The daylong event culminated with dance and singing performances by some of the students and some casual conversation and chats while enjoying sumptuous snacks organized by the team at Academy. This day was truly the most amazing day of our short journey at the Biocon Academy!!! We will definitely cherish these memories for years to come and are truly delighted to be a part of the program that ensures learning while having fun. KUDOS to the team at Biocon Academy for planning such a wonderful event. 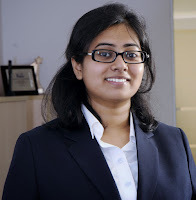 Profile: Kritika Agarwal has completed her Bachelor of Technology in Biotechnology from G.B.Pant University of Agriculture and Technology, Pantanagar. She has been active member of her Student’s Committee in her college.Currently, she is enrolled in Biocon-KGI Certificate program in Biosciences. Her area of interest includes Cancer Prevention and Treatment. The course content of Biocon-KGI certificate program is customized to ensure that aspiring biotechnologists are trained in academics and have the necessary industry exposure which increase their employability in the ever evolving biotech industry. An integral part of this program are the well planned functional visits to State-of-art Labs at Biocon and to some of the best Institutes in Bangalore that provide an in-depth understanding of Research & Development processes. One such functional visit was planned to IBAB – The Institute for Bioinformatics and Applied Biotechnology. IBAB is a well-recognised institute for education, research and entrepreneurship in Bioinformatics & Biotechnology set up with an objective of training students in the most recent advances in academia and industry by faculty from top notch institutes. At IBAB, we interacted with Dr. S.S. Shivakumara who presented the concepts of Gel electrophoresis, Polymerase Chain Reaction, Recombinant DNA technology in an extremely unassuming manner. The session conducted by him focussed on revisiting our basics, performing experiments and analysing their results facilitating the hands on application of these concepts in future. Dr. S.S. Shivakumara is an extremely knowledgeable and an erudite professor, his teaching methodology got us motivated and excited to challenge ourselves to perform better during our interactions with him. This session was followed by an interesting guest lecture on understanding the principles and functioning of a fermenter, by Mr. Nagasairam, a scientist from String Bio. During this session, Mr. Nagasairam elaborated on procedures to assemble and disassemble a fermenter and also explained the various operations involved in setting up the fermenter. The sessions at IBAB led me to ponder that how sometimes our assumptions of knowing it all can be far from real in an industrial set-up when experiments are conducted on large scale. Our IBAB visit reinstated my faith in the beauty of science, which never fails to intrigue me. It was a wonderful experience and the insights and wealth of knowledge gained is going to be immensely helpful for all of us. I would like to extend enormous gratitude towards Biocon Academy, IBAB and Dr. Shivakumara for nurturing young minds like ours into becoming resilient and confident professionals of the ever evolving Biosciences Industry through their efforts. Profile: Nazmi Rafique has completed her Master’s in Molecular Life Sciences from Stockholm University, Sweden. 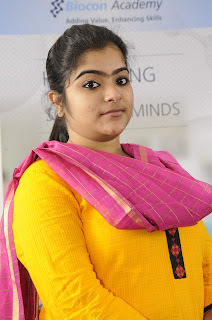 She has previously graduated from Bharath University, Chennai in Industrial Biotechnology and is currently pursuing the Biocon-KGI Certificate Program at Biocon Academy with the aim of getting ready for the industry. Her key interests are Research and Development and Regulatory Affairs. This morning I woke up in a new place ready to take up a new challenge and ready to join the Biocon Academy for their certificate course in biosciences. A day filled with nervousness, meeting new people, striking conversations, introducing myself over and over again, understanding the curriculum of the course and asking if I was ready for this extensive training program. Basically a whole bunch of questions. Was it as I expected? Not really. It was much more. The day started off with about an hour to interact and understand the general essence of the group of people. We had various backgrounds and various different cultures mingling together. After refreshments, our orientation began with a lot of introductions of all the major people involved in the Biocon Academy as well as from KGI. Then we were welcomed by Ms. Kiran Mazumdar Shaw. My mind was open to receiving every word she had to say and my body felt like it was in deep meditation. She started off with explaining the aim of this course, its need for the current pool of graduates and the desired outcome of the program i.e. to make students industry ready. She explained what inspires her about life sciences and these natural machines that have interrelated parts and systems. We as scientists aim at deciphering these codes and using them for the betterment of our society. She put her thoughts in such clear language and decoded the confusion in every biotech graduates mind in the best possible manner. We graduates are at a cross road in life where we question our choices of being in this field. Her entire speech has placed all my goals back on track. What were my emotions after this speech? I felt inspired to take on this course and this world and to make a mark in this society. This session was ended with a few more introductions and congratulations. Then Seema Ahuja who gave us an overview of the market aspects of Biocon and the main aim of this academy addressed us. This moment is when I felt thankful and privileged to be able to attend such a course and learn from some of the best industry experts from the Industry. The session also focused on social media and its importance. I bet most of us know these tools exist but are ignorant to the fact that it can be used for educational purposes and not just for socializing. The second half of the session was on behavioral sciences and goal setting. We had an interaction session with our peers through an ice breaker session and we had to mention our first impressions of each other. This is when reality hits you in the face. How do people look at me? What aura do I give out? It was an eye opener and a sign of relief for me when lots of people wrote for me as ‘friendly and confident’. But is that all that I want my impression to be? I know, I’ll have to work further to make it much more than that. When asked to set my goals in life they came instantly to me as I was so inspired by the amount of knowledge that I had gained all day. I knew I wanted to see myself grow as a confident lady and mentor that I heard this morning. If I were able to make half of the impact Kiran Ma’am has made to the world I would consider myself accomplished in true sense. I knew I wanted to make a career in this field that has the potential to touch various lives across the globe. I want to fulfill my duties towards the society through my work and additional support that I can offer. I want to be able to manage my career and family. Finally, I want to build a personality like Mrs. Kiran Mazumdar Shaw to be able to have a vision and take on the world, and the challenges & hardships to realize my dream. I bet you can feel the inspiration through the words. I am inspired, I am confident, I am ready to take up this course and give my 100% and achieve all my goals. Profile: Prachi Kabra has completed her Masters of Science in Biotechnology from The University of Edinburgh (UK) and previously graduated with a B.Tech in Biotechnology from Vellore Institute of Technology. She is currently pursuing the Biocon- KGI Certificate Program at Biocon Academy with the aim of choosing her career path. Her key interests are Research and Development and Regulatory Affairs. The visit provided us with an exposure to applications of molecular biology techniques in an extremely simplified manner. Indeed, here lies the difference between theory and practicality of the subjects. We were taught how to perform the isolation of plasmids and its analysis by Agarose gel electrophoresis technique. The training progressed into the second day with all of us totally geared up to master the techniques that were demonstrated to us by the instructors. We were given an impeccable introduction to Restriction Enzyme Digestion. The entire activity was designed to enhance and appreciate the DNA structure, restriction enzyme digestion of DNA, analysis of digested DNA by agarose gel electrophoresis, and finally performing cloning and transforming experiments. The functional visit at IBAB also offered an opportunity to learn about the basic functionalities of Polymerase chain reaction (PCR), Analysis & Interpretation of results. Furthermore, the practical training of Cloning and transformation of E. coli added a spark to our excitement for learning. The basic principle, reagents used and procedure involved in this exceptional technique were explained in a methodical manner. Moreover, we were introduced to the fermentation principle and the various types of bioreactors used along with their applications. The faculty at IBAB helped us to gain profound knowledge of the entire concept of fermentation through appropriate explanations and demonstrations. The efforts put together by Dr. Shivkumar and his doctoral students were commendable as they ensured that we gain maximum learning through these sessions. It was an absolute delight to witness the ocean of knowledge that Dr. Shiva Kumar possesses in the field of Biotechnology. This experience has encouraged us to stay dedicated on the path of perseverance and endeavour to pursue upcoming opportunities in the fast evolving BioWorld. The one week intensive training at IBAB gave us immense experience about the application of research concepts in an industrial set-up. At the end of it, there was a greater sense of commitment from each one of us to rededicate our self to the cause and the purpose for which Biocon is serving the community, by managing and operating the Academy. Rabia Inaas has completed her Masters in Biotechnology & Bioinformatics and her areas of interest include Research & Development and Pharmacovigilance. She is currently pursuing the Biocon-KGI Certificate program in Biosciences from Biocon Academy. On my first day at the Biocon Academy I took my place at seat allotted and found myself curious regarding our new class. The first thing I noticed was the panel hanging on the wall facing all the students. It was the Biocon Academy’s panel with its motto of – “Adding Value, Enhancing Skills” inscribed on it. Now after the fifty percent completion of this rigorous training, I find myself questioning whether I as well as my batch mates have really learned new skills and built on the pre-existing repertoire of knowledge? Are we any nearer to fulfilling the motto of the academy or achieving our own objectives for which we joined this certificate course? On reflection I quickly realized that by ‘Enhancing Skills’ the academy did not necessarily mean skills pertaining to the technical field only. It includes various soft skills like interpersonal skills or even presentation skills. I now know and say confidently on the behalf of the entire batch, that we have not only honed our existing skills but also added new ones– be it technical skills or soft skills. In these two months, apart from enhancing our technical knowledge we have also developed the ability to apply them practically in an industrial set up. Today, with the guidance of expert faculties we are capable of working in a team and delivering projects in the given deadline, simultaneously meeting national and international regulations. However, in this all-encompassing course, I personally feel that the most important lesson we as a class have learned is the fact that an industry is one team. This insight made us appreciate the fact that an industry functions as one entity. This is because an output of one employee becomes an input for the other employee.As a result, every employee shoulders the responsibility of maintaining the company’s reputation by assuring consistent delivery of quality products. One might now ask how this seemingly unrelated reality of an industry being one unit pertains to the Biocon Academy motto and how does it add value to the industry.The answer is as obvious as the question. No student can become industry ready till he or she is clear of the responsibilities towards his or her industry as a whole. The best part about the academy is that it does not concentrate only on skill development but also provides with a basic ground work of how to wield those skills so as to derive value out of it. As Stephen R. Covey has rightly said that “To know and not to do is really not to know”. This crucial value addition has armed every student to lay a strong foundation at the commencement of his or her career. Groomed, moulded and equipped with the arsenal of enhanced skills, the students of Biocon Academy are now primed to embark on the journey of success thereby, adding value to the biopharmaceutical industry. 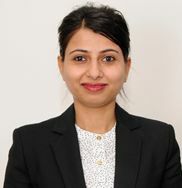 Nidhi Parikh has completed her Msc in Biochemistry and has keen interest in field of Research & Development, Quality Control Analysis, Quality Assurance and Pharmacovigilance. She is currently pursuing the Biocon-KGI Certificate program in Biosciences. “It is the choices that define who we really are, far more than our abilities”. Biocon Academy is one such choice that I made, that has led me to believe in this good old adage. Biocon Academy is a convergence of dreams of aspiring Nobel Laureates, Scientists, Entrepreneurs and what not. The Academy has a rigorous application process with only 30 candidates making it to the final list. Given this fact, I consider myself to be lucky to have been shortlisted in this premiere Institute. It all started with the application process culminating into an interview CALL one fine day, I confronted my first telephonic interview and managed to clear the selection process. Post this the ‘Admission Letter’ reached me with no adieu, this was a moment of sheer delight for me. The coffee mug imprinted with my name, printed tees and an exclusive tablet device that was part of the Admission Kit further added to my joy. The soul crushing moment for us at the Academy was when we got the opportunity to interact with Kiran Mazumdar Shaw, in the head start inaugural session. It was a moment of pride for all of us, to have one on one session with Ma’am. The regular sessions kicked off and soon I found myself all set for the much awaited Biocon-KGI certificate program. The day usually started early in the morning with two breath-taking lectures followed by a challenging quiz. The coffee breaks between the sessions allowed us to catch up on everyday chats and much required adrenaline boost to absorb as much as we can from the excellent sessions. The study environment at Biocon Academy is semi-virtual, with heads popping up now and then; and hands flying up in the air evidencing ‘we are yet right here’. We did have a parroting sorting-hat ceremony to club ourselves into groups for the activities ahead. Subsequent to the back to back subject sessions, we would squeeze in time for preparing the presentations followed by the Q&A sessions. The day has a mid-break with lunch housed in a huge Cafeteria. Here, I got to experience a very unusual thing, we were accompanied by our faculty members who would discuss with us on current affairs, topics covered in the classroom etc. These informal sessions with the faculty members on the Lunch Table really enabled us to open up to them and pose questions without any hesitation. During the latter half of the day, the Biocon Express would shuttle us between the College and Campus. At Biocon facilities we had an exposure to engrossing industrial sessions in departments, including Research and Development, Production, Quality Control, Quality Assurance and Regulatory Sciences. Biocon Academy offers several modules including Molecular Biotechnology, Pharmaceutical Development, Fermentation, Biopharmaceutical Quality Control and Assurance, CMC Regulations of Pharmaceuticals, Mammalian Cell Biotechnology, FDA and Laws and Regulations, Bioseparation Engineering and Science. These modules were conducted by Experts from Industry who acquainted us with the deeper understanding of these topics enabling us to apply the theory to practise in an industrial set-up. Ahem… Sciences alone does not make a scientist. Icing on the cake, were the well thought psychological artifices being worked on by experts, which aims at sculpting out a perfect individual with professional etiquettes. Well, well, I will end up hiding pumpkins not mentioning the Ordinary Scientific Level Exams and the Exhaustive Scientific Exams. The mixed culture of population with a brilliant interplay of naïvetés breaking shells and frolics of artful tact, there exists an inherent harmonic balance in the dynamics of the system. A place for new hopes and amities, weekend thrills embracing fun events like trekking and evening hangouts, this is a home away from home. The transition from the Campus to Corporate can never be made more smooth and pleasant. To put it in a nut shell, this is an exciting journey in pursuit of knowledge and a process of self-discovery, making us ponder about the career choices one would want to make in the ever evolving Biotech sector. My inner voice says, I have landed into the world of magic and land of opportunities after the completion of my Biocon-KGI Certificate Program in Applied Biosciences. Vamanie Perumal has completed her Bachelor of Engineering in Biotechnology. She is a B.Tech in Biotechnology from PSG College of Technology, Coimbatore. After two years of Research in Biophysics at National University of Singapore, she pursued the Certificate program in Biosciences Biocon Academy, with the aim of honing her industrial skills to equip herself with prerequisite knowledge and skills for entry into the industry. Currently she is employed in the Quality Assurance Dept at Biocon Ltd. Guest lectures at Biocon Academy have a special significance as they offer something unique going beyond the standard curriculum, and are conducted by Subject matter experts from the industry. The first guest lecture of Batch 2 conducted by Dr. Prof. Shiva Kumar, from the Institute of Bioinformatics & Applied Biotechnology, offered a fresh perspective on Genetics. His lecture on ‘The Fundamentals of Genetics and its History and application in Genome Sequencing’ delved into the basics of all research in Biotechnology. The lecture primarily gave us an overview on the different techniques used for genome sequencing in the Biotech industry. Particularly interesting was the aspect where he outlined the brief history of the discovery of DNA and the onward progress made by the industry since then, through advancements in the understanding of heredity and genetics, to the relevance of understanding the genomes of different organisms and finally about the techniques currently used in DNA sequencing and its application. It provided a window into the competitive world of technological development that is the source of the large amount of information that we hold today about human existence and also some very exciting and unanswered questions revolving around the same. Shreya Parekh holds a Bachelor degree in biotechnology. She is a part of the second batch of Biocon-KGI Certificate Program in Biosciences, at Biocon Academy. Her goal is to gain in-depth understanding of the biopharmaceutical industry and be capable of contributing to the booming biotechnology sector of India. The first day of anything new is always filled with excitement and eager anticipation as to how the day might unfold. Looking around at the smiles, the first glances, the thrill that one feels while meeting a rush of new faces all at once, just filled us up with an immense burst of adrenaline. But as the days rolled by and we got to know each other better, it felt right and blessed to be surrounded with people all eager to go down the same path. We may all be from different walks of life, from different places and speak different languages, but what binds us together is not just four months of intensive training and comprehensive learning, but something more, something that we all, at Biocon Academy feel within ourselves, which is, the spirit of adventure, the thirst for trying out something new, walking down an untrodden path, being the ‘pioneers’ – the first of our kind. Are we thrilled? Yes we are. Curious, as to what happens next? Yes. Scared? Well yes, that too. But when all these feelings are amalgamated, it gives rise to an incredible urge to push forward and to see what lies in the days ahead. As any explorer of yore, we too have taken the first steps of courage, chartering into a world of possibilities. The future can be what we make it to be. Not everything is kismet, what we think today, we become tomorrow. Each day brings with it the joys of a new adventure and we all look forward to it. Just like a curious kitten, we poke around the yarn of learning and learn something that we did not know about before. This thirst for knowledge is what keeps us pushing ahead and we love every moment of it. In our quest, we are the ship and every ship needs an able and brave crew that keeps the ship guided on the right compass path, and that crew are our guides, mentors and various other people who work behind the scenes to keep the ship afloat. The waters ahead are blue, filled with immense possibilities and surprises, but when all hands are on deck, we have nothing to fear, we shall set sail and explore the seas ahead. Yunoal D’souza has completed his Bachelor of Engineering in Biotechnology. He is a part of the first batch of Biocon-KGI Certificate Program in Biosciences, at Biocon Academy. His objective is to acquaint himself with the current trends and cutting-edge technology in the biotech industry.